I’ve started working on the original engine for my pushbutton, wanting to replace the 550+ HP stroker madness in the car currently, with a close-to original smooth running 351C. I have all the original engine parts, including the ’71 close chamber heads and the Ford aluminum D1ZX-9425-DA dual plane manifold. The block needs a 020 overbore. 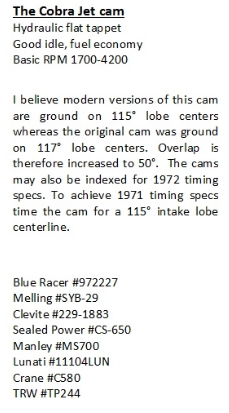 I'm thinking of replicating the Ford recommendation for a 365 HP 351C using the Cobra jet cam and flat-top piston in the M-code engine mentioned by George in Sticky 2. I was intending to use the Ross 80556 round shirt pistons with the narrow 1/16 piston rings recommended by George, however, they only come in a 030 over version. As the block only need an 020 over bore, I would prefer restricting it to that, retaining the possibly of another engine fresh-up. https://www.jepistons.com/Products/338200.aspx, it has a comp. height of 1.660. "Keith Black hypereutectic pistons are made from 390 aluminum alloy and heat-treated to T6 standards, which makes them 30 percent stronger than ordinary untreated hypereutectics. Their 100 percent CNC-machined crowns, high upper compression-ring location, gas-accumulator groove, drilled oil returns, and spiral-lock retainer grooves make these pistons outstanding for performance applications. They have a lightweight, rigid-rib skirt design that stabilizes the piston in the bore. All of this adds up to pistons that fit tighter than forged types, provide improved oil control, reduce blowby, increase ring life, eliminate cold start-up knocking"
The Ross piston can be special ordered going through Summit Racing. Manufacturing custom piston is Ross' main business. 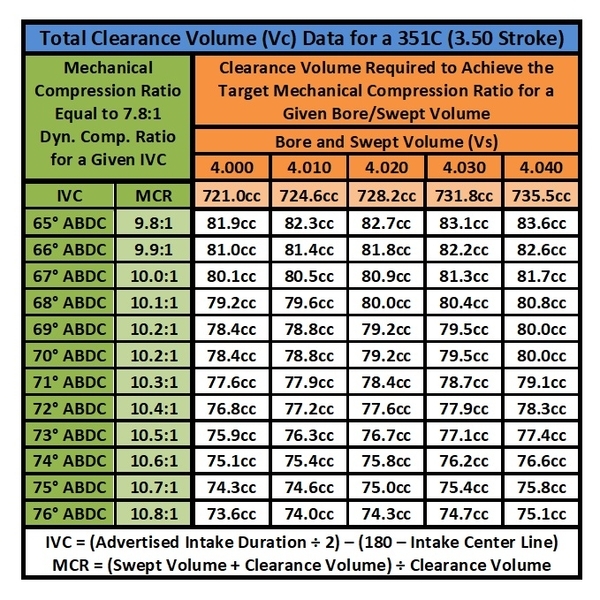 With 4.020 bore and an aftermarket Cobra Jet cam advanced 4 degrees (IVC = 70 degrees ABDC), the engine needs 79cc clearance volume to achieve 7.8:1 dynamic compression. I'm assuming for the moment that the block has never been decked. So you'd need a pop-up dome piston with a -1cc dome, or if you order the standard flat top (3cc dome volume) you'll need to have the heads milled 0.024 inch. Without milling the heads or pop-up domes, the engines Vc would be 83.3cc, 9.74:1 mechanical compression, dynamic compression would be 7.5:1. You would NOT recommend the KB hypereutectic piston? The hypers were originally designed for low thermal expansion, allowing tighter clearances, therefore fewer emissions during cold starts. They are inexpensive to manufacture, thus perfect for high volume assembly lines. I've never used hypers, because I've had cast pistons fail … and hypereutectic pistons are cast pistons. You can heat treat them until you're blue in the face, they're still a cast piston. Yes they're quieter during cold starts. I see no advantage to that, I've never purchased a piston because of how quiet it is???. I've always use forged pistons, because forged pistons are truly tough. I prefer the toughness. Especially for an engine that might be revved high every once in a while. The Ross pistons have full round skirts, they're heat treated, and are drilled for wrist pin oiling out of the box. They are machined for thinner (more modern) piston rings. They can be custom ordered with an anti-friction coating on the skirts too. That's all the stuff I look for. I've inquired directly with Ross for a 4.020 version of the Ross 80556. Let's see what they come up with. I see that the specs for the different manufacturer of the Q-code cam vary a little. 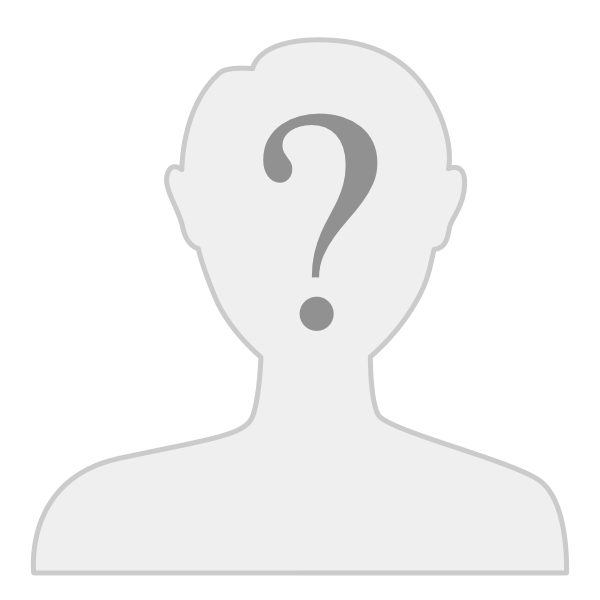 Any one of them that are to be prefered over others? Whats your plan with the "old" engine ? "Whats your plan with the "old" engine ?" Thanks, Ross quoted me $1150 for 4.020 pistons including rings! I build 2 engines and only have troubles with ross . Everytime they failed. They piston pin brake out at higher rpms at german highways . You can order any size of pistons also . In standart engines , I use the sealed power but most of my friends take kb pistons . With them you need not press the pin. I do not know why my ross pistons brake 2times.